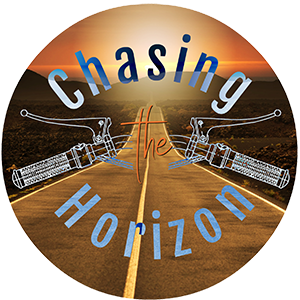 It’s been an exciting week in Chasing the Horizon land, and I want to tell you why. NEW WEBSITE! That’s right, we have a fully dedicated website now (YOU’RE LOOKING AT IT RIGHT NOW! ), but the URL is exactly the same as it’s always been – bmwmoa.org/podcast. Ah, the ease of redirects. We do have our own domain name too, but I’m having some trouble navigating the whole GoDaddy DNS scheme… and by trouble, I mean I’ve been a bit too lazy to actually get around to setting up the domain registrar-level stuff that needs set up. I’ll get to it soon, I promise, and when I do, you’ll be the first to know – via email, anyway. Way back in 1999 I was hit by a car while riding my motorcycle. My friend George was one of the first people to find out about it, and he came to visit me in the hospital not long after my first leg reconstruction surgery. He brought his son Evan with him – and Evan was maybe 4 or 5 years old at the time. Evan Laing is grown up now, a fully involved college student finding his way in the world. 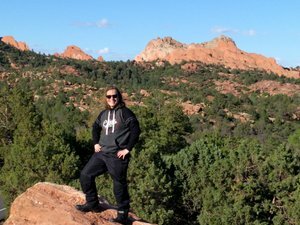 Luckily for us, that meant he had to buy a motorcycle and set off on a 42-day cross-country expedition! 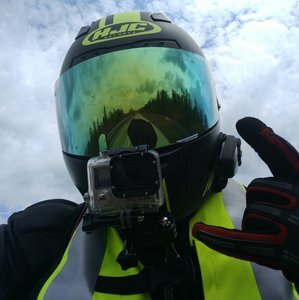 Tune in to Episode 14 to hear about how he chose his bike and gear, the trip across the country, falling victim to your motorcycle’s common weakness when you’re thousands of miles from your support network, and the importance of YouTube in the modern age. Even though I’ve known Evan since he was little, I purposely avoided asking him about his trip, knowing that I wanted to somehow turn it into a story. I caught him during his semester break back in December and recorded our conversation. The news in this episode is all about Harley-Davidson – earnings, plant closures and the most exciting new model announcement I think they’ve made in decades. Episode 15 will be out on 19 February … and honestly, I have no idea who the guest is going to be*! I am open to suggestions, as always. A listener recently sent in a good one that I’m following up on and may be able to get done this season. I’m hoping to extend the first season to 22 episodes, which will take us through the end of May, but we’ll see how it goes. We’ll see you out there somewhere on the road – or off it!